One of the most affordable and most accessible methods to make your smile better is with teeth whitening. The dental experts at Lowes Island Dentistry can take your smile to a new level with convenient professional teeth whitening. The professional dental team at Lowes Island Dentistry in Potomac Falls, Virginia, can conveniently whiten your teeth in a matter of hours. To find out more about teeth whitening, call or schedule a consultation online. Your teeth can turn yellow for a variety of reasons. Certain medications, age, and the things you drink and eat can all contribute. The enamel on your teeth can get surface stains from drinks like red wine, tea, and coffee, and this can make your teeth appear yellow. Big contributors include tobacco and smoking, too. Eventually, the surface stains can get even more challenging to get rid of, because they soak deep into the enamel of your tooth to the dentin. Certainly. As long as you obey product instructions and guidelines, teeth whitening is an entirely safe process. 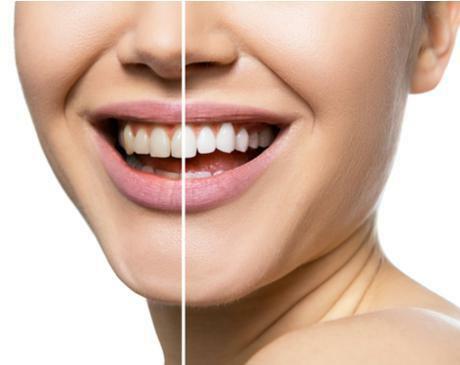 For reliable, safe results, the team at Lowes Island Dentistry provides professional whitening treatments. You may prefer to get your teeth whitened in only one appointment if you have a busy schedule, or steadily over time with a take-home teeth whitening kit. No matter which course of treatment you choose, the whitening solution is entirely safe to place on your teeth and in your mouth. The only discomfort you may experience is temporary tooth and gum sensitivity from the bleaching agents. 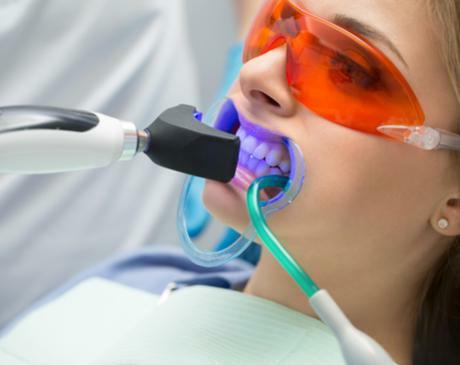 What's involved in an in-office teeth whitening procedure? Professional in-office teeth-whitening is simple and could whiten your teeth by up to eight shades in only one visit. * During your visit, a professional Lowes Island Dentistry team member will fit lower and upper dental trays in your mouth. These trays will contain the hydrogen peroxide whitening solution. Your practitioner will then cover your lips and gums to protect them from the powerful whitening solution. They put the bleaching solution in the trays and shine a special bright light on your teeth. You sit back and relax as the bleach and light combine to whiten your teeth during three 15-minute treatments, all happening in a single visit. You wait comfortably between treatments until your final bleaching treatment is complete, then your dental expert places a post-treatment gel on your teeth to reduce any sensitivity you might feel. Then you're done. You have whiter teeth and a gorgeous smile in about two hours. For a more gradual approach to whitening teeth over a couple of weeks, the Lowes Island Dentistry team also offers at-home teeth-whitening kits. To learn more about professional in-office and take-home options for teeth whitening, call or schedule a consultation at Lowes Island Dentistry today. Give yourself a smile you're proud to wear!